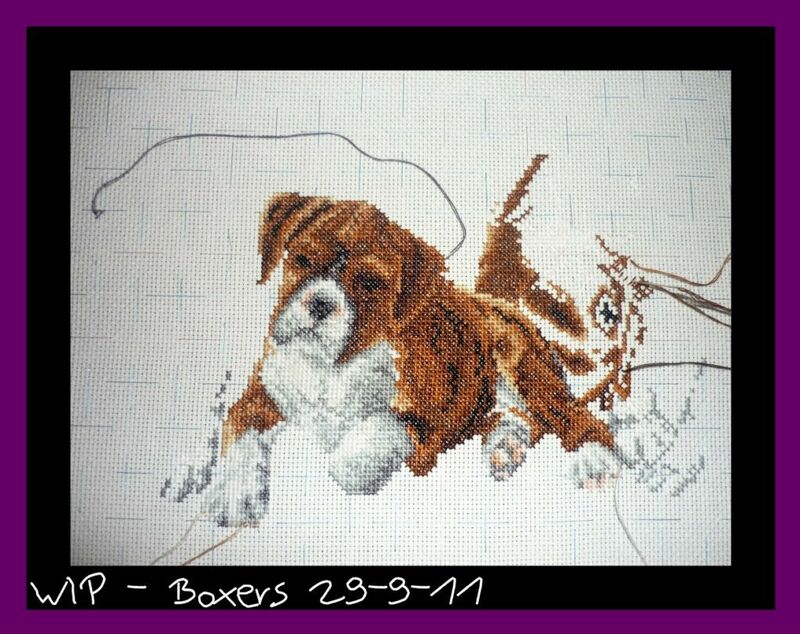 Naughts & Cross stitches: I have a dog! WOOHOO! One dog down :D three to go and I've made quite a start on the next dog! He looks so cute!